This month, Crystal students took on one of the most pressing political questions of our time. 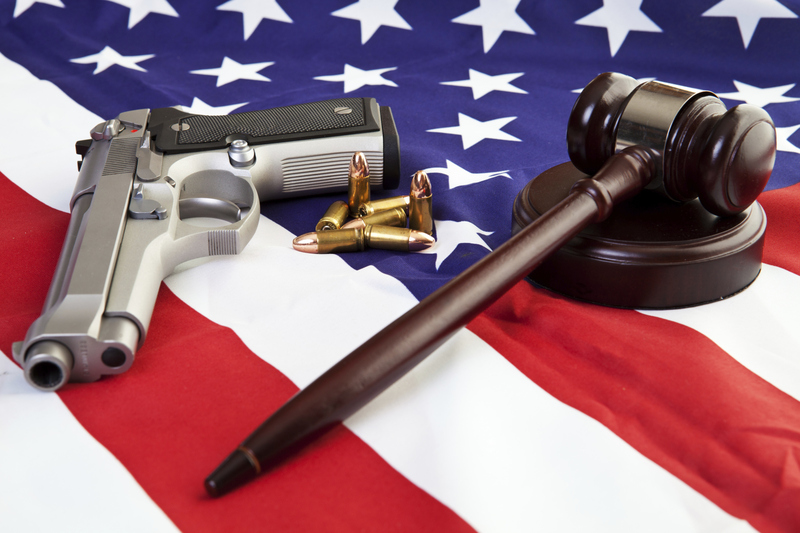 Should the United States implement stricter gun control measures? We chose to kick off our series with the controversial gun control debate because the topic just kept coming up when we interviewed students who identified as right-of-center last month. We want both to combat misconceptions surrounding the debate and hope to convey that the issue isn’t as black and white as we might think. In this issue, five students (Maya S., Darius D., Charlynn T., Kevin M., and Peter D.) from across the political spectrum weigh in on this issue. What do you think? Leave us a note in the comments below! Looking at statistics charting gun violence in America is terrifying. In 2018 alone, there were 340 mass shootings (a mass shooting being defined as an incident where four or more people are shot or killed): one almost every single day. That number is alone is scary, but mass shootings are just the surface, making up less than one percent of all gun related incidents. It’s astonishing and unacceptable to me that given America’s wealth, level of development, and position as a world leader, we face a gun epidemic of such an incredible scale. The debate over how to solve this epidemic has become one that is closely associated with political party membership, making it nearly impossible for representatives in Washington to agree on a set of solutions. Many ideas have been tossed around on the House and Senate floors, and I believe the most realistic and effective solution is common sense gun control. First and foremost, I want to make it clear that I, along with the vast majority of the gun control movement, am not against the Second Amendment. I do not think banning all guns is a smart or viable decision. That being said, people put a lot, and perhaps too much, faith in a single sentence written in 1791. It’s important to keep in mind the context in which the Bill of Rights was ratified. America was a newly formed country whose militia was comprised of average citizens, so in the time, it made a lot of sense for people to have their own military-grade weapons. Yet, in the late 1700s, the most advanced guns could shoot only 4 rounds per minute and would have to be manually reloaded after each shot. Technology has obviously advanced significantly since the American revolution, and today, the AR-15 can shoot 800 rounds per minute. While I understand the desire to have a gun for protection, there is no situation in which a civilian needs a gun of that capacity. The primary use of assault rifles is in the military, and I think they should be reserved only for military use and banned otherwise. While non-assault style weapons are far more acceptable, they should be sold and bought under the regulations of common sense gun control (universal background checks, national permit laws, restrictions surround high-capacity magazines, etc.). After the second amendment, the most common argument against gun control is that it’s not the guns, but the people behind them, that are the problem; gun rights activists tend to argue that good people shouldn’t have restrictions around buying them. However, if you are a responsible person/gun owner, a background check would not prevent you from buying a gun. The purpose of measures like universal background checks or waiting periods is not to stop the average civilian from being able to buy guns. Today, it’s extremely easy for kids or people with criminal records to walk into stores and buy a gun on the spot, and those situations are what regulations would be trying to eliminate. America is the only developed country that has this issue. Since 2009, we’ve had 288 school shootings. Canada comes in second with 2. We’ve had 144 times more school shootings than the next country and 57 times more than all of the G7 countries combined. The frustrating thing is that there is an identifiable root cause of this, yet we somehow are unable to pass any significant legislation to address it (side note: bump stocks were very recently banned, which is a huge step forward and a break in the typical congressional gridlock, but there has been nothing else in recent years). Besides the potential solutions that conservatives tend to disagree with (assault rifle bans, etc. ), there are suggestions such as mandatory education or more specific permit laws that could be implemented and pushed by a bipartisan effort. Gun control laws in America aren’t even a new concept. Gun rights activists tend to act like it’s an absurd new idea that’s going to infringe on their rights, but in reality, in 1994, America passed the Federal Assault Weapons Ban, which prohibited the manufacturing of assault weapons for civilian use and banned large-capacity magazines (like bump stocks). The act expired in 2004 and was never renewed, but many factors of the AWB, an established piece of legislation, are exactly what gun-control activists today are fighting for. Ultimately, the goal of gun control is to save lives that were taken in shooting incidents. Gun related deaths range from incidents of mass shootings, domestic violence, and suicides to young kids playing with guns. I think that the best way to prevent these is by implementing gun control laws as well as adding a mandatory education component (a system that is in place in most other first world countries, all with impressively low gun violence rates). I am not trying to go after shooting ranges, safe hunting, or a civilian’s ability to have their own gun for personal defense. In fact, gun control laws would likely not affect any of those scenarios. Rather, they would prevent dangerous people from having access to incredibly dangerous weapons, a goal that I hope everyone, regardless of party lines, can agree on. In the wake of several tragic mass shootings in the past few years, gun control advocates have proposed increasingly stringent policies with the goal of preventing such events. However, many of these policies would be misdirected, ineffective, and unconstitutional. Statistically, guns provide a considerable social benefit in terms of lives saved. In the year 2016, the CDC reported approximately 38,000 gun deaths in the United States. However, when suicides are excluded from this total, as deaths due to suicide are poorly understood and therefore difficult to directly resolve through gun control solutions, there were only approximately 14,000 gun homicides. Additionally, according to a study published by the University of Pittsburgh Graduate School of Public Health, up to 80% of these homicides are committed with illegally owned guns, suggesting that as few as 3,000 gun homicides with legally owned guns are committed per year, which includes self-protective incidents. While this figure is still significant, in 2013, the CDC published a study estimating between 500,000 and 3,000,000 gun defensive uses per year, according to 19 compiled national surveys. What’s more, the study estimates that one in six of these gun defensive uses directly resulted in a life saved. With even the most conservative estimate of 83,000 lives saved by guns based on this data, it’s not difficult to see that legally owned guns, the primary target of most gun control measures, constitute a net societal benefit. Even still, gun control advocates point to “common sense” legislation as a tool to reduce gun violence in America. Movements like the March for Our Lives and politicians like Hillary Clinton, for example, have called for semi-automatic assault rifles to be banned, claiming that they pose an unnecessary threat to civilians. Not only is this proposition meaningless, as an assault rifle must have fully-automatic capacity and therefore definitionally cannot be semi-automatic, it is already covered by the 1986 Firearm Owners Protection Act. Even improvised fully automatic weapons using technologies such as bump stocks have been classified as machine guns and will be illegal in 2019. Even a ban on semi-automatic “assault weapons,” which are difficult to define and functionally indistinguishable from non-assault weapons, would be largely ineffectual. According to the FBI, while handguns comprised over 65 percent of firearm homicides in 2016, rifles of any kind (not only assault weapons) represented only 3 percent of this total. Even in mass shootings, handguns are more than three times more likely to be used than rifles of any kind. In addition to these suggested policies, some policies already in place are counter-productive, and in some cases, severely detrimental. The Gun-Free School Zones Act of 1990, for example, prohibits any gun-owner from bringing a gun to a school zone, with the stated goal of preventing gun violence in protected areas. However, nearly 98% of school shootings have occurred in these areas since 1950. This stands to reason, as criminals will favor public areas with the fewest obstructions. While many have completely dismissed the idea of allowing teachers with concealed carry permits to bring a weapon to school, this might be an effective method of prevention, or at least damage control, for school shootings. This policy will not serve to indiscriminately arm teachers, but instead to allow trained permit holders to bring their weapon to school. One study by the Crime Research Prevention Center reported that the crime rate among these permit holders was only 1/7th the rate of crime among police officers, which is already 1/37th the rate of the general population. Furthermore, while police response time to an active shooter 911 call is just over 10 minutes, the average school shooting lasts only about 12 minutes, meaning that for the majority of the shooting, nothing will stand in the way of a shooter., Armed teachers would be quicker to confront and subdue active shooters, and teachers won’t be wearing a conspicuous uniform, so the shooter will not know who to avoid. Furthermore, just the fear of an armed teacher at the school might be enough to deter a potential shooter. Another general concern about gun safety is that purchasing a firearm is too easy for potential shooters. However, the federal mandates for licensed firearms dealers are fairly stringent. It is important to note that these requirements do not apply to private gun sales, but since less than 13% percent of guns were sold without a background check according to a 2017 Harvard study, and many states have closed private sale loopholes, so I won’t directly address these. Under the federal system, licensed dealers must perform a comprehensive background check barring domestic abusers, felons, anyone convicted of or under indictment of a crime with a sentence exceeding one year, persons with a restraining order, the mentally ill, illegal aliens, and controlled substance addicts or users, among others. Additionally, if anyone believes a family member is a danger to themselves or others, they can petition a court for a firearms restraining order, which can either prohibit the subject from obtaining a weapon or seize a weapon they already possess. Under the current system, it is by no means easy to purchase a gun from a licensed dealer. While universal background checks are a popular gun control solution to close the private sale loophole, this policy is often uncritically accompanied with the proposal for a federal registry. Universal background check legislation would require private sellers to perform the aforementioned federal background check on all potential purchasers, which would prevent the above groups from illegitimately purchasing a weapon. However, a gun registry is a far more concerning suggestion. Because a gun registry would provide the federal government with a comprehensive list of all gun owners, it would undermine the primary intention of the Second Amendment: the protection against a tyrannical government. If the government was ever interested in either seizing arms or otherwise infringing upon constitutional rights of citizens, a gun registry would greatly facilitate the identification of targets and potential threats. In the protections of individual freedoms and security, there is little that gun control policy would do to make a positive societal impact. Indeed, this data reflects that the problem is not that there are too many guns in the wrong hands, but that there are not enough guns in the right hands. Five active shootings were stopped by civilians with concealed carry permits in 2017, but perhaps more could have been stopped if states with strict gun laws allowed more qualified civilians to carry weapons. Similarly, there may have been countless more defensive gun uses had citizens had easier access to weapons. As one of the greatest bastions of human freedom in the history of the world, we should seek to allow more Americans the right to self-preservation rather than fewer. There is, after all, a reason that our founding fathers held the right to bear arms second only to the right to speech in our nation’s constitution. A twelve-year-old has a gun, and nobody’s really supervising as he darts through the forest in West Virginia. That’s how these stories usually start, right? This time, though, there’s a rattlesnake right under the step the kid is about to take, and the kid knows what he’s doing. He glides back, and he walks away unscathed, a rattle in his pocket. Sixty years later, my grandfather shows me his box of rattles, fondly reminiscing about growing up shoeless in hunting country. He’s got a series of paper targets with shredded bulls-eyes decorate his garage wall, and when my father was a boy, spent many Saturdays at the rifle range with him, shooting pistols, rifles, and even black-powder muzzleloaders. I’m probably ten the first time he shows me an (unloaded) antique revolver. So, yes. To the person with the anti-gun-control bumper stickers and the carefully cultivated collection of 2nd-Amendment memes: I know where you’re coming from. I do. Holding a firearm – and really knowing how to use it – makes you feel just a little bit like you’re in the ultimate self-determinative control. And who doesn’t want that, even a little bit? In the US, of course, the answer is pretty clear. The US has 88.8 privately-owned guns per 100 people. Civil-war-torn Yemen, the next highest, has only 54.8 guns per 100 people. Americans are 5% of the world’s population, yet own 42% of its guns. For many, perhaps including my grandfather, that’s a point of pride – the so-called freedom-loving all-American don’t-tread-on-me gun-owning stereotype. But there’s a flip side: consistently, the most guns also means the most gun related deaths. “Gun related deaths,” however, are about ⅔ suicides, ⅓ homicide. So when we discuss gun control’s merits or specific gun control proposals, we can’t only focus on a third of the issue. The US has eight times more gun suicides than any other high-income country. Proponents of looser gun regulation and easier gun access argue that more gun suicides does not mean more suicides overall. However, studies indicate an individual who has access to guns is three times more likely to die by suicide. Waiting periods and lack of access can reduce suicide, since most suicide survivors say they deliberated for a day at most, and in some cases, only for a few minutes. In such cases, a mandatory waiting period for a handgun purchase could make the difference between life and death. Guns are also simply more lethal than any other method of suicide – while 85% of attempted suicides involving guns resulted in death, only 5% of all other suicide attempts were fatal. Ninety percent of suicide survivors did not later die by suicide, making reducing access to effective means to commit suicide on the first try absolutely critical for saving lives. Practical evidence also supports these theories: when Israel stopped allowing soldiers to bring guns home on leave, the suicide rate plummeted by 40%, and when Australia implemented their massive buy-back program, the suicide rate dropped by 65% over the next ten years. The nonpartisan RAND corporation consulted experts on both sides of the gun control political debate on a series of potential gun control measures, including: background checks, bans on the sale of assault weapons and magazines, child access prevention laws, concealed carry laws, firearms sales reporting requirements, gun-free zones, licensing and permitting requirements, lost or stolen gun reporting requirements, minimum age requirements, prohibition associated with mental illness, “stand your ground” laws, surrender of firearms by prohibited possessors, and waiting periods. Both experts who support stricter laws and experts who oppose them agreed that implementing all stricter policies would ultimately decrease the overall rate of suicides – either by 10% or 47% depending on the expert in question. Now, one third of gun-related deaths are homicides. The counterargument persists, less gun violence (like less gun-related suicide) doesn’t necessarily mean less violence, overall. Do other countries with fewer guns have epidemics of stabbings, bombings, or intentional car crashes that kill people at similar rates to our so-called gun problem? Or, if the US does have more homicides per capita than other countries in similar economic bracket, maybe American doesn’t have a gun problem, maybe we have a violence problem, a crime problem. Maybe it’s the criminal justice system, or policing, or video games, or crumbling family values, or any other explanation that requires very little legislation and quite a lot of thoughts and prayers. Then again, maybe it’s not. The US isn’t an outlier when it comes to crime – not on violent crime, or nonviolent crime. The US really only stands out on homicides or gun related violence, and it’s not difficult to puzzle out why. Americans aren’t by nature more criminal or more brutal than the Portuguese. About the same percentage of us decide to mug people or hold up convenience stores. The difference is, when the mugger has a gun rather than switchblade, theft becomes a homicide. In fact, studies indicate that for each percentage point increase in gun ownership, the firearm homicide rate increased by 0.9%. When guns are accessible, people are twice as likely to die by homicide. Particular groups are especially vulnerable: guns are the second leading cause of death for American children overall and the first leading cause of death for black children; US women are 16 times more likely to be killed with a gun than women in other high-income countries, with 52 women killed by an intimate partner using a gun every year. Black women are twice as likely as other women to be killed by an intimate partner with a gun. The same RAND experts examined homicide rates, not just suicide rates, and came to a very similar conclusion. People often point to Australia, where a large-scale mandatory gun buyback resulted in a 59% decrease in the homicide rate and only one mass shooting in 22 years (as opposed to the 13 mass shootings in the 18 years preceding the legislation), but there are examples closer to home as well. When the 1968 Gun Control Act added a Lautenberg Amendment banning convicted abusers from owning guns, murders of women by their intimate partners dropped 17%. When the United States enacted a 1994 assault weapon ban, gun massacres decreased by 43% and gun massacre deaths decreased by 37%. When Congress allowed the ban to lapse in 2004, gun massacres increased by 183% and gun massacre deaths increased by 239%. Restricting access to assault-style weapons primarily prevents massacres, not individual homicides, the majority of which are committed using handguns. However, restricting the caliber of handguns available for purchase can reduce the fatality rate of handgun crimes – patients shot with large-caliber (.357 magnum, .40, .44 magnum, .45, 10mm, and 7.62x39mm) guns were 4.5 times more likely to die than patients shot with small caliber (.22, .25, and .32 mm) guns. America will probably always be a country with guns – it’s woven into our culture, our history, our sense of national identity. We probably won’t ever be Australia. But we don’t have to be a country with an epidemic of gun violence. We can restrict the nature of guns available, the volume of guns available, and we can require more rigorous training for gun owners, higher standards for gun registration and reporting, and better background checks. Switzerland also has a relatively high number of gun-owning citizens, but a much lower gun crime rate than the United States. The difference? In Switzerland, people generally gain access to guns by joining the military and receiving rigorous training and thorough background checks. If civilians want guns, they undergo a multi week background check and must be cleared by psychologists. Twenty US states prohibit concealed carry of a switchblade. Fifty US states allow concealed carry of a firearm, and six have no registration requirements to legally carry a concealed gun at all. Somehow, that feels unbalanced. “Gun control” doesn’t have to be a binary, all-or-nothing question. The suggestions offered by the American Association for the Surgery of Trauma, for example, would be a welcome start – lowering the risk of suicides, homicides, and accidental death and injury. And having grown up in a gun family with a long history of responsible firearm ownership, I know none of those suggestions would unduly impact the freedoms my family has enjoyed for decades. That day in the Canaan Valley, a firearm saved a young boy’s life and let him grow up to become my grandfather. But we can and we have to do better with gun legislation, or some people won’t be growing up at all. Just 3 months ago, America witnessed yet another brutal, senseless act of violence. The sound of gunfire cut the crisp night air in historically safe Thousand Oaks, California, in a mass shooting that resulted in 13 deaths. With the shooter using high capacity magazines and an automatic weapon, it seemed like another clear justification for Democratic bans on assault weapons and other various gun control legislation. But was it? In concept, gun control seems perfectly logical – especially among students here in the Bay Area. High levels of student activism and political engagement have led to student led movements like the March for our Lives, predominantly attended by liberals. Democrats are aggressively pushing for stricter gun control legislation, with 13% of Democrats in the last midterms stating that gun control was the most important issue affecting their vote. But in reality, the situation isn’t quite as simple as many are led to believe – and it could end up costing Democrats heavily in the 2020 election. To understand why, we must consider two factors: the effectiveness of gun control and the adverse political consequences of the legislation itself. With growing bipartisan support for gun control after the various shootings in recent years, Democrats are considering multiple avenues to increase regulations. One of the most prominent is the banning of “assault weapons”, with a new bill being introduced last week by Senator Dianne Feinstein, decrying the dangers of “military-style assault weapons”, and banning hundreds of gun models. There are multiple problems here, the first being that such legislation is ineffective. Democrats seem to have forgotten that they’ve tried banning assault weapons before, in the Assault Weapons Ban of 1994, similar to the one proposed by Mrs. Feinstein. Studies performed after the ban, which also outlawed pistol grips, high capacity magazines, and various “assault weapons” found “the ban’s effects on gun violence were miniscule to nonexistent. A litany of research by US Department of Justice, University of Pennsylvania, and National Research Council found no compelling evidence gun violence decreased, and if there was any effect, it would be too small to accurately determine. The fact is, in 2016, only 374 murders were committed with rifles, and “assault weapons” account for only 2% of all gun deaths in the US. And when we look specifically at mass shootings, research by the Washington Post found only 17% of all guns used in mass shootings were obtained illegally. So in the grand scheme of gun homicides, the amount deaths that would actually be prevented is microscopic, especially considering that bans have a high chance of not working at all. Other parts of assault weapons bans also make no sense, for example, the banning of stocks and grips that increase stability and accuracy for millions of legal gun owners, promoting safety. Taking the Thousand Oaks shooting as an example, we see that the shooter used a legally obtained Glock handgun, with an already banned extended magazine. It calls into question the ability of regulations to prevent weapons from getting into the hands of criminals, as well as showing that a ban on handguns (which make up 90% of all gun murders) would be necessary, a position that is obviously untenable. These laws are the product of Democrats with good intentions attempting to pass laws based on public fury after mass shootings. Case in point, America saw a 12% temporary spike in support for outlawing assault weapons directly after the Vegas shooting. Simply put, banning assault weapons and accessories is not the rational option, it’s a position reliant on emotion and outrage. But I can already hear you typing in indignation – “At least we’re saving some lives! Even if we save one life, it’s a successful law!” I understand that you may have good intentions, but again, reality provides a harsh gut check. In our current political climate, maximum effort needs to be made in flipping alienated conservatives in preparation for the 2020 elections. The Mueller investigation and GOP corruption have given Democrats a considerable opportunity to convince Republicans switch parties, but too much focus on gun control plays right into the GOP’s hands. The argument that “Democrats are stealing our guns and freedom!” is perfect for Republican party unity, and Democrats can’t afford to lose in 2020. An object lesson is again the 1994 Assault Weapons Ban, when Democrats used a significant amount of political capital, and led to the 1994 Republican Revolution, in which the GOP swept the midterms. Gun control legislation gives ammunition for Republicans to rally their voter base and spark outrage, over an issue that is relatively unimportant. What’s the solution to this issue? As a liberal, I still believe Democrats should implement laws preventing people with mental illnesses from purchasing guns, and instituting background checks for private and gun show sales, both policies with about 90% public support. But the rest will have to wait. I implore Democratic voters to evaluate the issues before us from a utilitarian perspective. There are far more important issues before us. If you want to save lives, look to the war in Yemen, where around 84,701 children under five have died in the past 3 years from malnutrition alone. Domestically, the ACA is being gutted, risking the lives of tens of thousands of people per year. Climate change could potentially lead to the extinction of humanity. And specifically involving guns, 45,000 people die per year from suicide, with 20,000 of them using a firearm. So in the end, keep the bigger picture in mind and don’t fall victim to political fads. Gun control is an exaggerated issue that imperils the future of America, and it’s important for Democrats to remain aware of its true repercussions. There is probably no issue more prone to sweeping generalizations, aggressive framing, and ad hominem attacks in American politics than the debate over the right of individuals to own firearms. At times, it appears that accusations of what the intentions of opponents might be are more plentiful than actual proposed policy. The intent behind these tactics is to bamboozle the public, a task made easier when any statistical debate is wrapped in shifting jargon. How can anybody trace a coherent argument through a spider-web of analysis that may jump freely from “gun homicides” to “gun deaths” to “gun-related violence” to “gun-related crime” and everything in between? More often than not, the answer is that nobody really can. Another factor that serves to hinder productive conversation is both sides’ conviction in the unassailable rectitude of their position. For instance, there seems to be an intrinsic understanding among those campaigning for increased regulations on gun ownership that they are warriors against a maniacal gun industry that holds a financial death grip over our nation’s government. Last year March For Our Lives founder David Hogg articulated this sentiment to The Outline, accusing the National Rifleman’s Association (NRA) of being “pathetic fuckers that want to keep killing our children. They could have blood from children splattered all over their faces and they wouldn’t take action, because they all still see those dollar signs.” One didn’t even have to leave our campus to hear voices singing this tune, as evidenced by many of the National Walkout Day signs that littered the Commons last spring. Large numbers of pro-gun voices are similarly tedious, with many within their ranks fear mongering about shadowy “libs” obsessed with robbing them of their treasured weapons. One prominent employer of such rhetoric is Kaitlin Bennett, a graduate of Kent State University whose viral graduation photos featured her with an AR-10 strapped across her back and a graduation cap with “Come and Take It” emblazoned across the top. Stunts like these have replaced reasoned debate on gun law reform with quasi-religious crusades to either save the children being slaughtered or defend the homeland against creeping tyranny, and anyone interested in a substantive conversation is left to pick up the scraps. In my experience, most interactions between those from different camps that do seek to find common ground almost always devolve into hair-splitting over individual cases of the effects of gun regulation. One party might invoke the high rate of gun-related homicides and crime in cities such as Chicago or Washington, where firearms are tightly regulated, while another might laser in on the extraordinarily high rate of firearm violence in states such as Mississippi, where laws are comparatively lax. So what is the solution to this apparent paradox? What links these regions, if it is not ideological investment in the virtue of gun control? The answer, in one word: poverty. Of the ten states with the lowest poverty rates in the nation, only one ranks in the upper half of states in gun related deaths. Even this is charitable to those who credit increased firearm regulation with the declining trend of gun homicide; in the state in question, Alaska, just under 75% of gun fatalities were suicides. By contrast, the lowest that any of the top ten poorest states in the nation ranks in gun deaths is 17th, with six states occupying spots in both top tens. This trend continues at the international level, with Switzerland being a prime example. The alpine nation has one of the highest rates of individual firearm ownership rates in the world, sitting at around 28%, and a murder rate approaching zero. It would be foolish to think that their status as one of the richest nations in the world is unrelated to those two numbers. But at the end of the day, data points such as these are really only minor considerations. No matter how one wants to slice it, no matter how passionate the appeals to willfully misunderstand the English language, the salient fact remains that the right of the individual to own a firearm is constitutionally protected in our country, and has been since the earliest days of the republic. Indeed, it would have been ridiculous if our Founding Fathers had done anything else. Having just won a bloody war against an abusive monarchy, the newly independent colonists recognized the essentialness of an individual’s ability to defend oneself against a rogue government or any other entity that threatens the exercise of natural rights. Any debates on the gun control issue must start from this crucial point. At the same time, it seems that with every passing month more sickening tales of mass murder enter the national consciousness. These are unquestionably incidents that need to be addressed. All citizens should recognize the severity of the problem, and everyone should be open to constructive discussions around what can be done to minimize suffering. However, data, the law, and common sense (to use a gun control advocate’s favorite phrase) all come down on the side of only one conclusion: an effort to broadly ban firearms from all men and women is ill-advised, illegal, and morally wrong. Shootings are horrible reminders of unsavory things not often confronted: bigotry, insanity, poverty, and other phenomena that all Americans, Brady Campaigners or NRA members, should unite to stamp out. To fight a war against guns is simply to shoot the messenger.